The original iPad was a hit two years ago when it debuted. But it took 28 days just to hit the 1 million sales mark. That original release hit 2 million in sales after two months; it would be a full 80 days before the first-generation iPad hit the 3 million mark—enough time to go around the world. The original-to-third-generation iPad comparison requires one caveat. That first iPad was a U.S.-only launch. It took nearly two months for Apple to introduce the tablet to other parts of the world. In contrast, the third-generation of the tablet went on sale in ten countries on Friday; this coming week, it rolls out to 25 more countries. Apple never broke down sales for last year’s iPad 2 release with quite the same specificity. But there’s another recent iOS device we can look to for comparison’s sake—the iPhone 4S. Opening weekend for last year’s smartphone update saw sales of more than 4 million, and that iPhone has obviously been a massive success. The iPhone 4S debuted in seven countries on its opening weekend. A factor that might put the opening weekend sales of the iPhone 4S and third-generation iPad in context—the iPhone 4S was the first update to Apple’s smartphone line in 16 months. 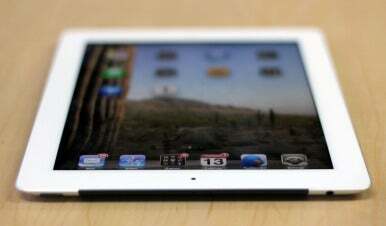 The third-generation iPad arrives about a year after the iPad 2. In other words, the iPhone 4S arrived to a lot of pent-up demand, with Apple even acknowledging that consumers seemed to be holding off purchasing iPhones in the summer of 2011 in anticipation of a new release. And as another point of comparison, Apple’s iPhone 4 tallied 1.7 million sales in its opening weekend. At this writing, Apple shows shipping times of two to three weeks for new iPad orders placed on its website. Macworld’s Philip Michaels contributed to this report.